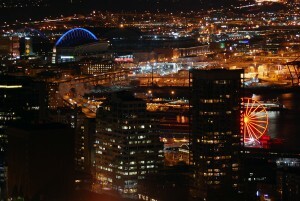 There’s no landmark more popular in Seattle than the Space Needle. It’s the symbol of our magnificent city; known the world around. That’s why more than one million people visit the icon every single year. Built in 1962 for the World’s Fair, the Space Needle (400 Broad St. — it’s pretty hard to miss) was the tallest building in Seattle until 1969. It’s no longer the highest viewpoint, but the Space Needle still offers some of the best bird’s-eye views of the Emerald City. 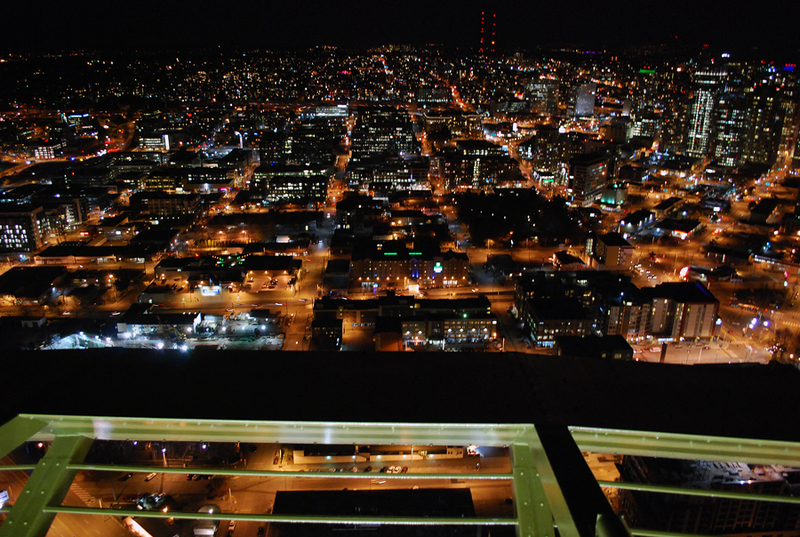 The Space Needle observation deck stands 520-feet above Seattle (the structure is 605-feet altogether), and it offers 360 degree panoramic views of the area. The landmark is open 365 days a year, but the hours of operation change from season to season. Keep in mind, ticket sales shut down 30 minutes before closing time. 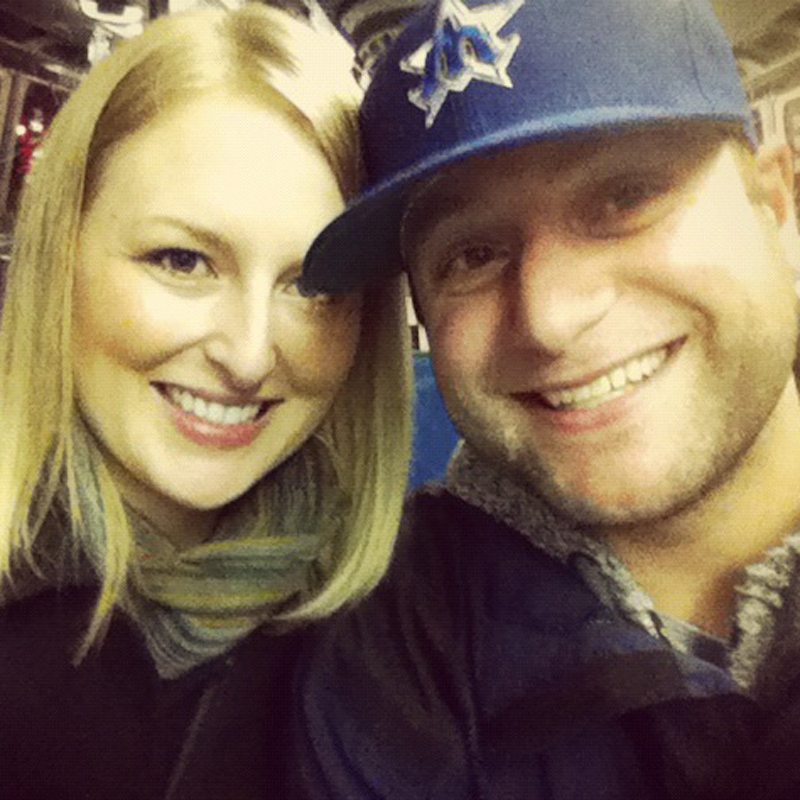 I’ve visited the Space Needle several times throughout my life, but Tove and I most recently stopped by at night. We had a crystal clear evening, so you could see the city lights stretching for miles. 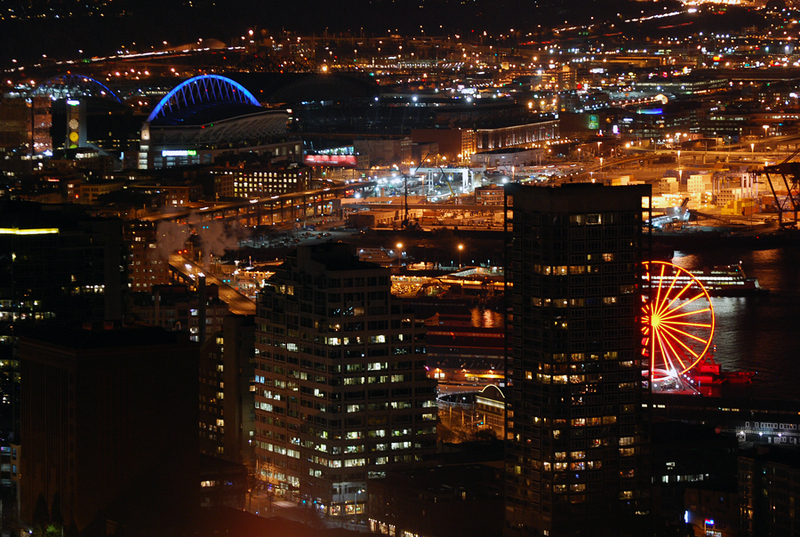 We’ve both experienced the view from the Space Needle at night before, but it never gets old. Don’t just take our word for it, though. You really have to see it with your own eyes. 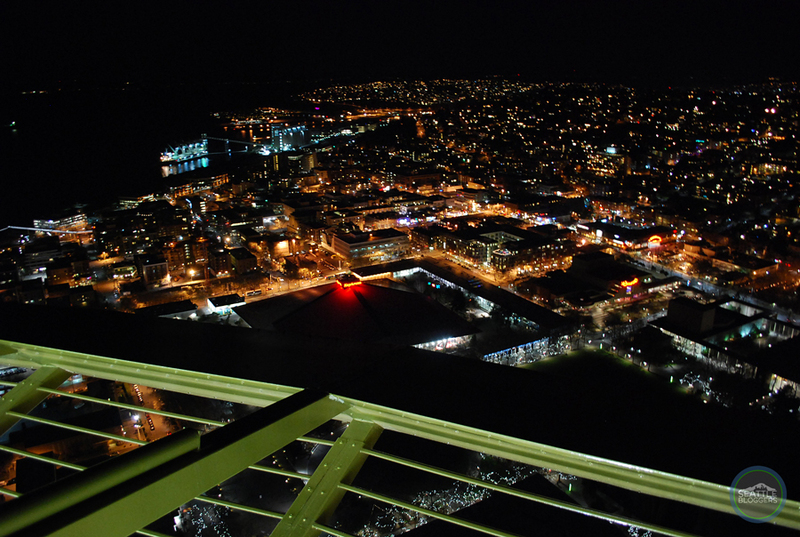 There’s actually a great debate in Seattle: Is the view from the Space Needle better at night or during the day? Tove and I would both be the first to argue the view from the Space Needle is better during the day. The mountains, water, and greenery provide plenty of viewing pleasure when the sun is up. 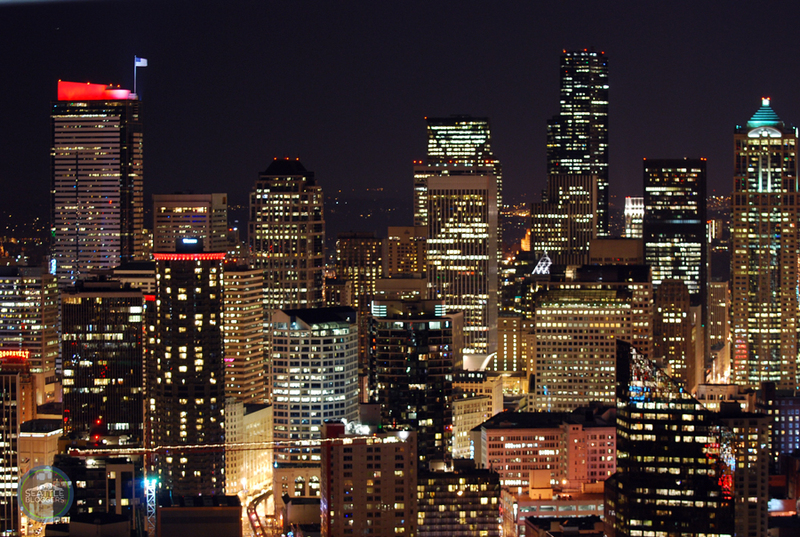 At night, you don’t get to enjoy any of the scenery that makes Seattle so unique (it just looks like black blobs at night). 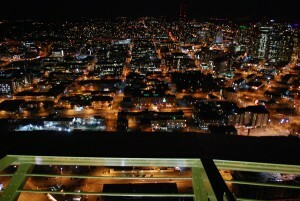 At the same time, the view from the Space Needle at night is truly amazing. It’s incredible to see the city dressed in lights. We actually asked our followers and friends on social media which view they prefer, and every single one of them chose the night over the day. That’s really saying something. If you’re interested in finding out for yourself, the Space Needle offers Day & Night Admission. It allows you to visit the landmark twice in a 24-hour period — once during the day and once at night. The price is $26 for adults, $24 for seniors (65+) and $17 for youth (4-12). 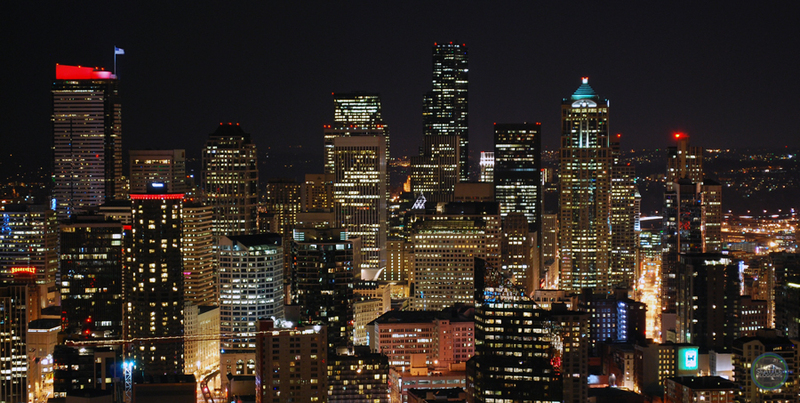 NOTE: The Seattle CityPASS offers the Day & Night Admission to the Space Needle at a reduced price. If you’re planning on visiting other major attractions in the Emerald City when you’re here, the CityPASS is definitely the way to go. If you don’t want to visit the Space Needle twice in one day — let’s be honest — you can’t lose if you go during the day or at night. It’s a win-win situation. 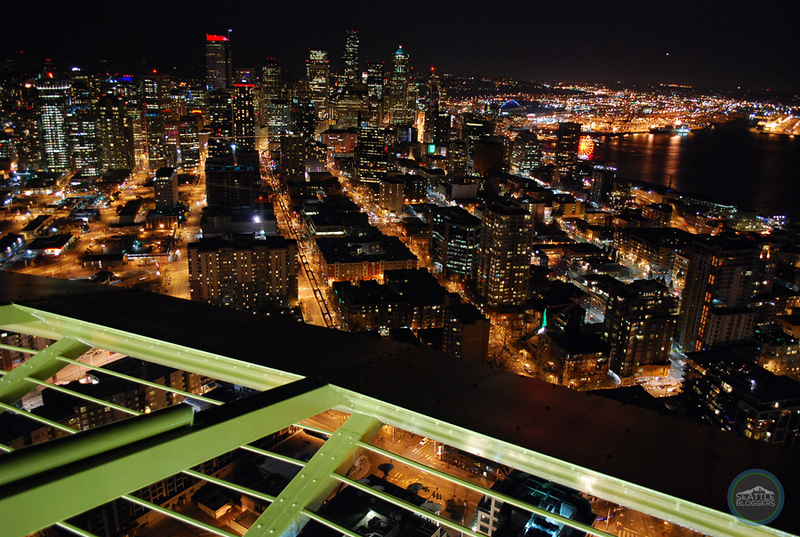 The Space Needle offers stunning views of Seattle anytime you visit (if it’s not foggy). What you get from the night view, you don’t get from the day (and vice versa). Ultimately, nothing beats standing on top of Seattle’s (and one of America’s) premier landmarks whenever you have a chance. 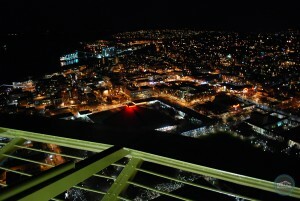 Have you been to the top of the Space Needle? Did you go at day or night? What was your experience like? We’d love to hear from you. Please leave a comment below or connect with us on Facebook, Twitter and Google+. 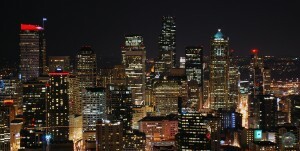 Don’t forget to also visit Seattle Bloggers for more great videos of the Emerald City!